Why pay ridiculous hourly rates. We charge a very fair rate, in many cases less than half the price of other companies. Our 25 year foundation is built on repeat business and fair charging policy. If you require cost effective, reliable heating and plumbing engineers then look no further. Operating throughout Kent & the South East we cater to all domestic and business client’s central heating systems, gas services and plumbing requirements. All works are carefully planned weekly in advance to ensure strict job start times are kept, you will be kept fully aware of start times together with any delivery dates for any specialist materials which have to be ordered. All plumbers are known to Paul in many cases having worked for Paul for many years and will all have been fully trained and be suitably qualified to complete the works they are sent out to do. All charges are very fair and reasonable ,wherever possible a fixed price will be provided in advance in writing. All charges will be paid on completion of works. Domestic & Commercial installations including major whole property plumbing & heating design and works as well as minor jobs such as tap replacements. With over 25 years experience in the plumbing and heating engineering industry, our business is focused on providing all our customers with a genuine and reliable service, offering a one to one relationship on projects from start to finish. Our fully trained staff offer an exceptional service, taking pride in our reputation. We work for both public and private sector organisations. Whether we're working on a School, Fire Station, Church, Residential Care Home, Salon, Office or Shop you can be confident that your organisation is in safe hands. Whether it's a leaking tap, boiler repair or full bathroom or kitchen design and install we've got the skill and expertise. All across the South East of England, we've designed comfortable and liveable spaces for families of all shapes and sizes. 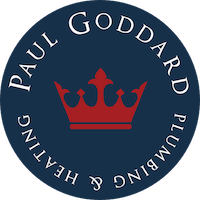 Paul Goddard has looked after the plumbing across my entire property portfolio for the last ten years, they are a professional, effiecient and cost effective solution. We have built our relationship over many years, it started when I asked them to look at a boiler in one property which had failed, rather than replace the boiler at huge cost Paul Goddard repaired the equipment and it is still running today….a very different approach to some of the other Plumbers that quoted. 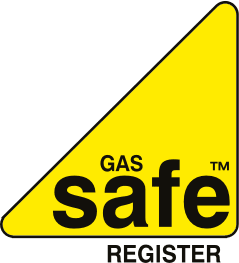 Gas Safe Register is the official gas registration body for the United Kingdom, Isle of Man and Guernsey, appointed by the relevant Health and Safety Authority for each area. By law all gas engineers must be on the Gas Safe Register, and the Register's role is to act as a licensing body.